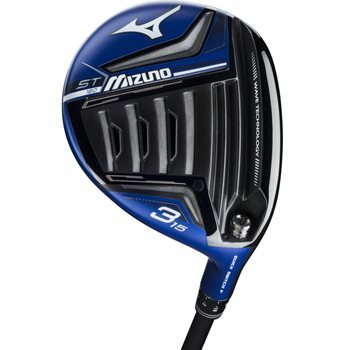 The Mizuno ST 180 fairway features a staggeringly large Shockwave Sole that provides an intense amount of mass low and deep into the head for an easy, powerful launch with extremely low spin. The 1770 Maraging Steel face allows for a thin, hot face for higher initial ball speed and overall distance while the Harmonic Impact Technology delivers ideal impact feel and feedback. Wave Technology compresses and rebounds at impact for greater COR AREA and higher ball speeds and the Waffle Crown features an optimized sweet spot for low spin. The ST 180 also features a Quick Switch Adaptor with defined loft/lie hosel settings to aid in launch optimization.